Their paintings are mixed-media pieces that explore the mysteries of sending messages and receiving them. “Neurotics Notebook” is the amalgamation of two artists, their artworks, related artifacts, and dialogue in the form of paintings, photographs, refrigerator notes and unknown statements from four years and nine studios together in the period since they discovered each other’s work, met, and began working together. “Neurotics Notebook” is dense with content while remaining simple in context. Originally from Fullerton, California, Wilson travelled extensively in the United States before settling in Phoenix, where he has been exhibiting for eleven years in venues such as Pravus Gallery, The ASU Downtown Art Museum, First Studio, and Modified Arts. He is a self-taught artist whose influences have come from libraries as well as from his travels. Phoenix-based artist Casebeer was born in Madrid, Spain, raised in Flagstaff, Arizona, and spent a stint living in The Hotel Chelsea in New York. Casebeer works predominantly in mixed-media paintings but her work also includes short story writing and a five-year project called “The Sentence Camera” in which she documents dialog daily on her arm in Sharpie, transcribing the day’s random and unrelated phrases into notebooks where they form curious, new relationships to one other. She received her degree in Journalism from Northern Arizona University and did post-graduate studies in fiction writing at Arizona State University. Casebeer’s piece tiltled, “Wait. Do You?” was part of The Phoenix 7th Ave Streetscape Public Art Project in 2012. Casebeer has exhibited her work in Downtown Phoenix at Monorchid, The Ice House, Legend City Studios and the ASU Downtown Museum, The I.D.E.A. Museum and at the Phoenix International Airport Museum. 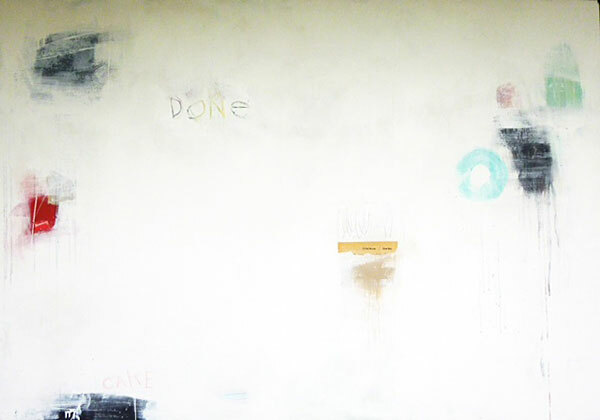 Casebeer and Wilson are mixed media artists working with process, narrative, composition and color theory. They currently reside in Phoenix. Photographers have a wonderful ability to turn ordinary surroundings into an otherworldly realm. Optical illusions, chemistry, and the mechanics of modern tools, have opened new possibilities for artists to untether their imaginations. Artists exploring make-believe use their dreams and memories as subject matter. Their work distorts reality, making everyday objects and environments alien and magical. Photographers construct their own fantasies, creating alternate worlds that straddle the line between reality and fiction. For Fact and Fantasy, The Kiernan Gallery seeks images that explore the unearthly and strange. For this exhibition, juror Melanie Craven of Tilt Gallery will select up to 25 images for display in the main gallery, and up to an additional 35 to be included in the online gallery. All images will be reproduced in an exhibition catalogue available for purchase. A Juror’s Choice and Director’s Choice will also be announced and will both receive a free copy of the exhibition catalogue.